One such place that carries out eye operations abroad is the Refresh clinic in Istanbul. It is very unlikely that any insurance you have will allow you to go abroad for the operation so you will have to be prepared to foot the bill yourself. 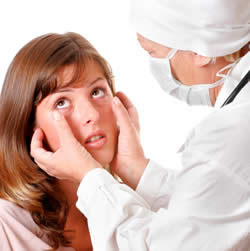 At the Refresh Clinic eye surgery is performed to correct a number of different ailments including myopia, hypermetropia, and astigmatic treatments. These will be performed by a laser technique called Lasik. The cost to have your eyesight changed by laser will be around £750 but there is nothing to say if there will be additional costs. There may be the need to pay for staff and operating costs as well as any medication that will be needed afterwards. There will also be the costs of having to get to and from Istanbul along with the cost of a hotel as it is unlikely that you would be able to fly straight home afterwards. The treatment for the cornea reshaping is a cold laser that will reshape the cornea and as a result glasses will not need to be worn afterwards. The Refresh Clinic eye surgery department is in Istanbul and this is going to be a long way to travel. It will very likely prove to be expensive and as a result other members of the family may not be with you and you will have to go through recovery on your own. As long as the operation goes well there should not be the need for any extra help but it may not always be the case. Some people would hope to go to a clinic such as Refresh clinic eye surgery department and have an operation that they would not be able to get at home. This is not going to be the case as the clinic will be just as strict as a clinic at home and will make sure that the patient is suitable for the procedure before it happens. They will make sure that the patients does not have any other illnesses or conditions that would prevent them having the operation so going to the Refresh clinic eye surgery section in Istanbul is not an easy option or a way to be treated without all the checks being carried out.